Oh, oh now that’s Groovy. My love for Dead by Daylight has been steadily declining over the last few months, as the gameplay loop has become more and more stale and the game’s systems retroactively built around in-game purchases — but hoo boy does the thought of Ash Williams joining the game get my blood pumping. 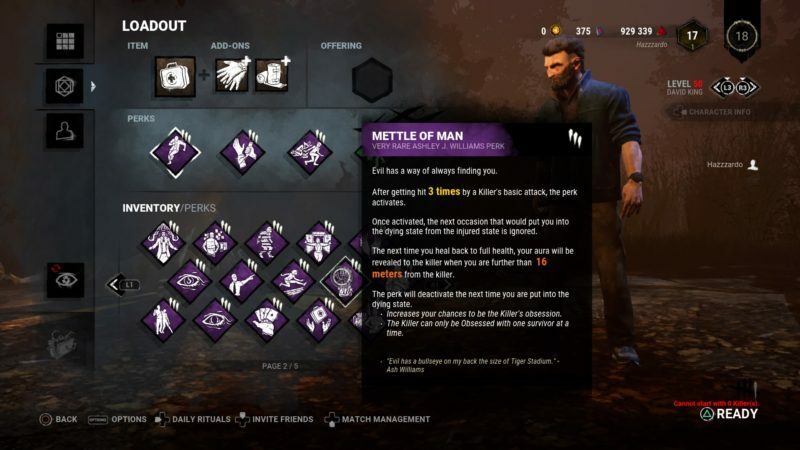 So in the new DLC, Demise of the Faithful, a bunch of new Survivor Perks have been added to the game. 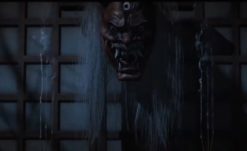 Among them, either accidental or an intentional tease, are a handful that seems to point directly to the main protagonist of the Evil Dead series, Ashley Williams. There’s Buckle Up (which, upon healing another player, will allow you both to see the killer’s aura for a few seconds) which ties to one of Ash’s one-liners. 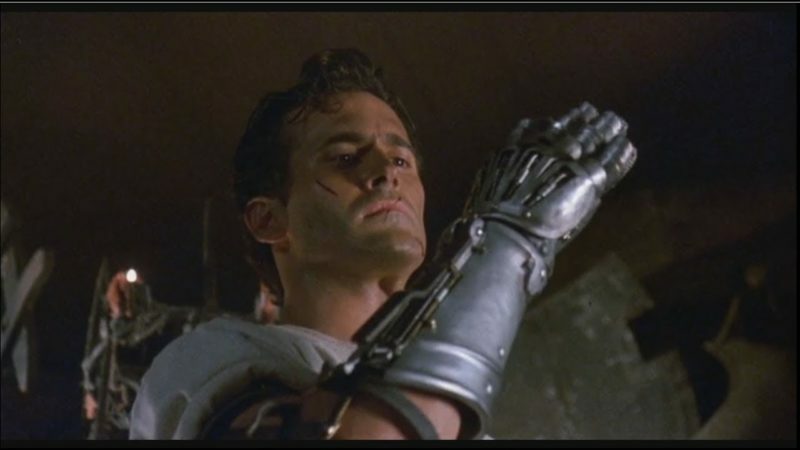 Next is The Mettle of Man (which, after healing three full times, the next attack that would have put you in the “dying state” will be completely ignored) — a running quote throughout the series (and the perk image appears to be the Ash vs Evil Dead robot hand). 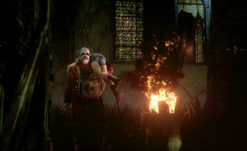 Lastly, there’s Flip-flop (which converts 50% of your recovery progression into “wiggle” progression, making it easier to free yourself from the killer’s grasp) which uh… I don’t remember from any Evil Dead thing in particular, but the image appears to be of Ash himself. But the point is that all of these perks are labeled as Ashley J. Williams perks (Ash’s full name, with the middle being Joanna). Suffice it to say, if they have the rights to use the character’s name and combine it with a few Evil Dead elements, there’s no way that there isn’t something bigger coming. The idea of Ash as a survivor (I would assume with robot hand — a survivor with a chainsaw would completely unbalance a match) is so insanely tantalizing that I’m frothing at the mouth. Sadly, he more than likely wouldn’t come with Bruce Campbell voicing him, as all the survivors only make little grunts and yelps (although I think it would be hilarious to get him just to do those little grunts and yelps). Obviously, he’d come with a Cabin map, but I’m not sure who would be his killer. Despite Evil Dead having a huge stable of creatures, no one singular entity has ever been the “main” threat. Presumably, this will be based on Ash vs Evil Dead (although I’d personally prefer a The Evil Dead version, when he had two hands for two beers), so maybe something from that? The first one that jumps to mind is Eligos, one of the primary creatures from the first season, but who knows. Dead by Daylight‘s strongest feature has always been it’s stable of licensed characters, and adding Ash to the mix basically completes the package (sans Jason, of course, which the game more than likely will never get). I just hope it isn’t yet another lame retool of something the game already has (I’ll be talking about this in more detail soon, so be on the lookout).